If you feel that you are over paying on your property tax, then there are a few options that you can take. Do you want to learn how to lower and defer property taxes? 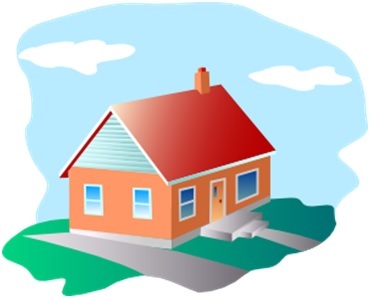 You can appeal the assessed value of your home and thereby lower your tax liability. Additionally, you can also take advantage of the provincial land tax deferral programme as well the Ontario senior homeowner’s property tax grant. Did you know that you may be paying more than required on your property taxes? Hi, my name is Allan Madan, your trusted accountant, and here I’ll discuss how to reduce property taxes or defer them. Different types of property such as real property, including real estate, are subject to annual property taxes. Property taxes are calculated based on property valuations. In Ontario, this function is performed by The Municipal Property Assessment Corporation (MPAC). Most people incorrectly assume that because property valuations have increased, your property taxes will also automatically go up. This is not entirely true. If the value of your property increases at about the same rate as the rest of the homes of your neighbourhood, then you will not see a property tax increase. However, if the rate of increase in the value of your home is higher than those in your neighbourhood, then your property taxes are likely to go up. So the question really is – is there anything I can do to lessen myproperty taxes or prevent my property taxes from going up? Well, there are a few solutions. OPTION ONE: Appeal the assessed value of your property. Compare your home with similar properties in your neighbourhood to determine if it is being truly overvalued. Request the comparable property report from the Municipal Property Assessment Corporation (MPAC). Request your home appraisal from your lender. When filing for appeal, include all of these supporting documents to show that your home is being overvalued. OPTION TWO: Use the Provincial land tax deferral programme for low income seniors and low income persons with disabilities. If you are older than sixty five, or suffer from a disability, and you have a low income below $30,000 then you may qualify for this programme to minimize your property taxes. If you are over 65 and suffering from a disability and your household income is less than $30,000, you may be eligible for this programme. To qualify you must at least be paying property taxes for your principal residence. This programme allows for a partial deferral from paying property taxes. The deferred property taxes are due when you eventually sell your home. OPTION THREE: The Ontario senior homeowner’s property tax grant. This is a grant of $500 toward your property taxes if you are a senior above sixty five years of age and have a household income of less than $35,000. For those seniors whose household income is over $35,000 there is a reduction grant equal to 3.3 percent of the overage. 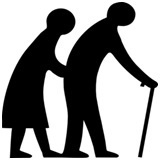 However, seniors with household incomes of more than $50,000 are not eligible for this grant. Thanks for readingthis article about how to mitigate your property taxes, and I hope you found it useful. Please comment because it helps me come up with more relevant content. Also, get access to a free report, ’20 Secrets on How to Beat the Tax man’. Should I Rent or Buy a Home in Canada? Tax Implications for Canadians Travelling to the U.S.
What are the Canadian Taxes for Expatriates?